Tarantulas generally stick to a pretty predictable body plan—eight legs, long fangs, usually fuzzy. But a newly-described species of tarantula in the southern African country of Angola has thrown scientists a big curve ball. The tarantula is about as weird as it gets for spiders, sporting a long, pliable, droopy “horn” on its back, and no one’s sure what it’s even for. The special spider was first collected by scientists as part of the National Geographic Okavango Wilderness Project, which aims to investigate, categorize, and protect the biodiversity in a relatively understudied region of Africa—the Okavango drainage in the nations of Angola, Botswana, and Namibia. John Midgley, an entomologist at the KwaZulu Natal Museum in South Africa, was in central Angola a few years ago to document local invertebrate species as a part of this effort. 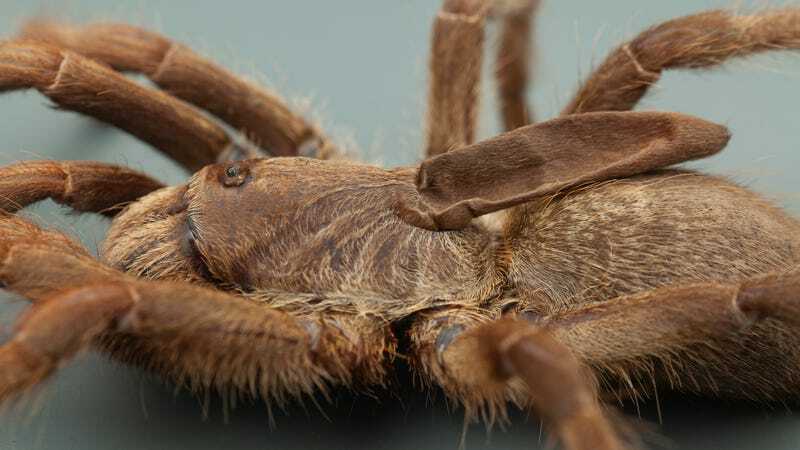 It was there that Midgley first encountered the tarantula, and—along with coauthor Ian Engelbrecht, an invertebrate conservation scientist at the South African Biodiversity Institute—described the new species in a recently published paper in the journal African Invertebrates. This is an individual of the newly described species (Ceratogyrus attonitifer) in defensive posture (typical for baboon spiders) in its natural habitat. Fortunately for the new tarantula, the Okavango Wilderness Project seeks to set up ecosystem-wide conservation areas, so it will likely receive some significant protections. Midgley says that future research will focus on the spider’s behavior in the field, as well as whatever that horn actually does. The newly described tarantula species Ceratogyrus attonitifer, showing the peculiar soft and elongated horn-like protuberance sticking out of its back. “It’s important for people to realize that [spiders] are vital parts of the ecosystem, even if they might not look pretty to us,” Midgley said.